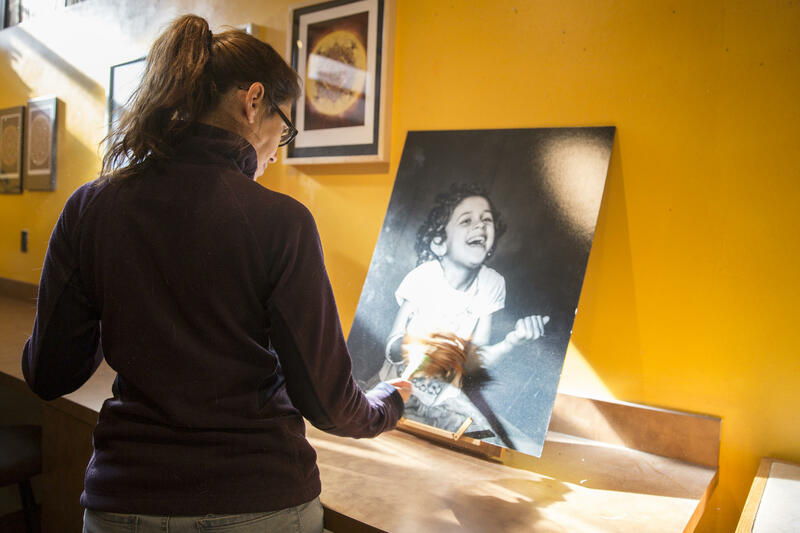 Portraits of refugee children are on display in the windows of businesses in downtown State College. 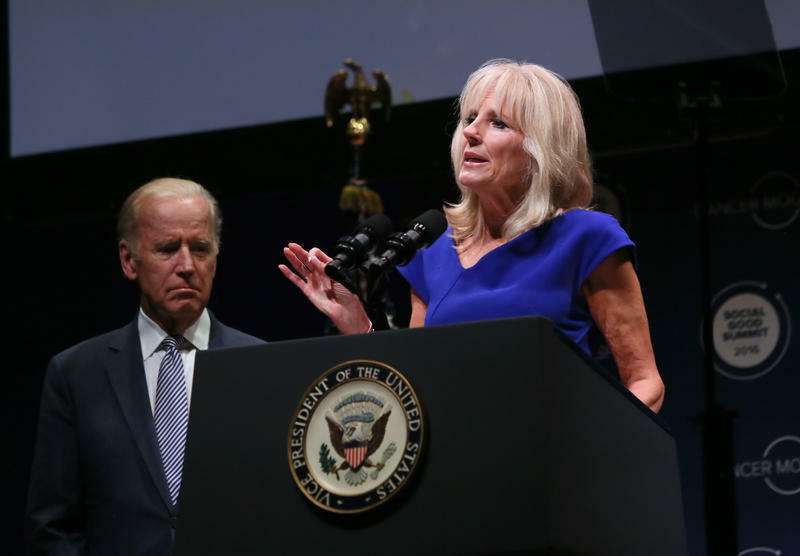 Penny Eifrig started the project "They Have Names" to address misconceptions about refugees. A woman pauses to look at a portrait of Ruqaya, a refugee child, in Webster's Bookstore. 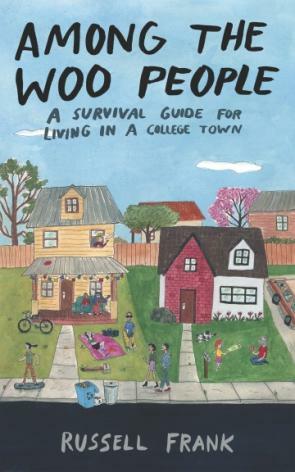 Booklets containing photographs and stories of refugee children are on sale at Webster's Bookstore in downtown State College. 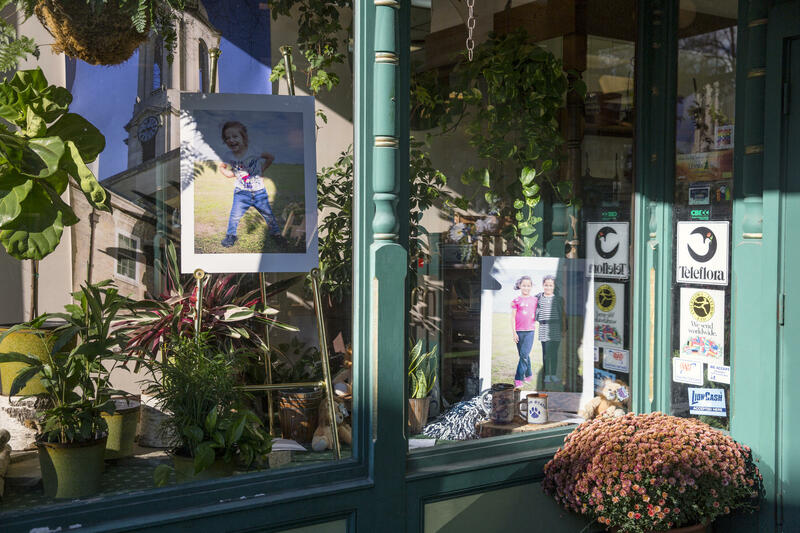 Portraits of refugee children are on display in the window of Woodrings Floral in downtown State College. 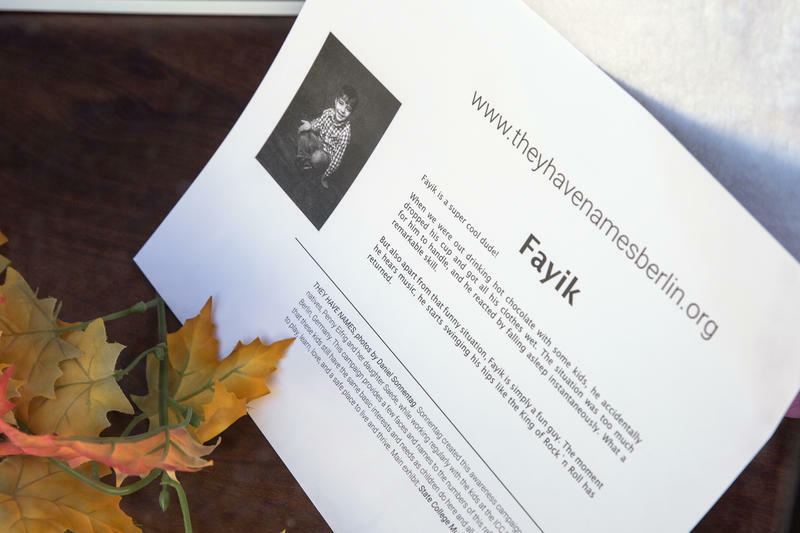 A story about Fayik, one of the refugee children featured in the photo series. These stories accompany the photographs that appear in State College businesses' window displays. Penny Eifrig: Thanks for having me. AG: While you were in Berlin, you volunteered at a refugee camp. What motivated you to get involved with these camps? PE: We arrived there in the winter of 2015 and it was the height of the refugee crisis. Things were kind of crazy, there was a lot of negativity in America, and my daughters and I just wanted to do something that felt good, felt positive. So we went to a camp to see what we could do, and ended up getting drawn in. We spent--of the last two years--every time we were there, pretty much every day volunteering. AG: Are you still in contact with any of those refugees? PE: We’re very good friends--I’d say almost family--with several of the families. There are four families from Afghanistan, Syria and Iraq that we became very close with. Lots of wonderful children. We’re currently helping the cousins of one family get to Berlin from Syria. AG: How did you come up with the idea for the “They Have Names” photo series, which is made up of close-up photos of refugee children? PE: When I first got there--actually the first day I was there--the children took my phone and took selfies. And I came home with this phone full of these really crummy pictures, but lots of them, and posted them on Facebook. The response here was, “Oh, wow, that’s so amazing. Can we help?” And I said, “Well, currently this first winter, there are no socks and underwear. So the kids are going out in the winter with boots that were donated and pants and coats that were donated, but nobody’s donating new socks and underwear.” So friends from State College actually sent me money and I went out the next day and I bought socks and underwear. And I thought, “Wow, if the response from these really crummy photos from my phone elicited that response, what if I had a real photographer?” And I asked at the camp what they thought about the idea, and they said, “Oh, have you met Daniel? Daniel’s a photographer. He’s helping out here, too. He’s a volunteer. Why don’t you meet up with him?” That was when I first met with Daniel. We immediately hit it off and had the same experience with the kids, that they were just awesome, awesome kids. We both wanted to spend a lot of time with them. We decided we’d start this program, an awareness campaign, called “They Have Names,” and basically not talk about refugees, not talk about the travels and the horrible things that happened to them on the way. But just talking about these kids, and if you could meet these kids and get to know their personalities, you might be a little less fearful about refugees. AG: Because they are just kids, and you really see that in the pictures with them sticking out their tongues and laughing. PE: The kids are kids and the parents are parents. There are good people and bad people in every society. You get a thousand people together and you’re gonna have a couple odd ducks in there. But we spent two and a half years there and have met the most wonderful parents, this really amazing community. AG: Photos from the series are currently in the display windows of a couple different businesses in downtown State College: the Corner Room, Woodrings Floral, Rapid Transit… What do you want people to think when they see these photos as they pass by? PE: Well the idea behind having the exhibit downtown--there are actually about 20 venues where the photos are up--there is a main location at the Municipal Building, so you could go there and see 12 photos, but the idea was to have it not at just one museum location where you possibly draw people who are interested in seeing children from refugee families. 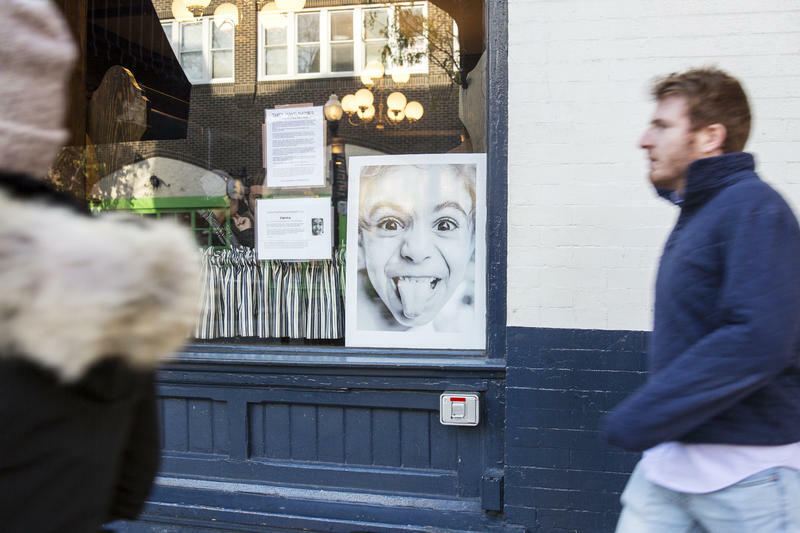 The idea was to put it on the street where anybody walking by might see one photo... and the first photo they pass, think, “Oh, what was that?” The second one they might say, “Hey, I just saw a photo. Maybe I’ll see what the text says.” The third time maybe they’ll stop and read “They Have Names,” find out who these cool kids are, read their stories about liking chocolate or wanting to say “no” to everything, and relate to the stories and relate to the kids. And then realize after reading, “Oh, these are refugees? I didn’t know that’s what a refugee looked like.” The idea was to bring the kids to the people who might not necessarily be going to see the exhibit. AG: As a final question, what is it that you really hope to accomplish through the photo series, if there’s one take-away that someone will get? PE: I think common humanity. I think we need that within our own society here--we need to have a sense of, if someone has completely differing views than you do, they probably still love their children. They probably want the best for their kids. They probably want to have a job and a peaceful life. And that’s whether you’re in America wishing that upon one another or upon other people in the world. 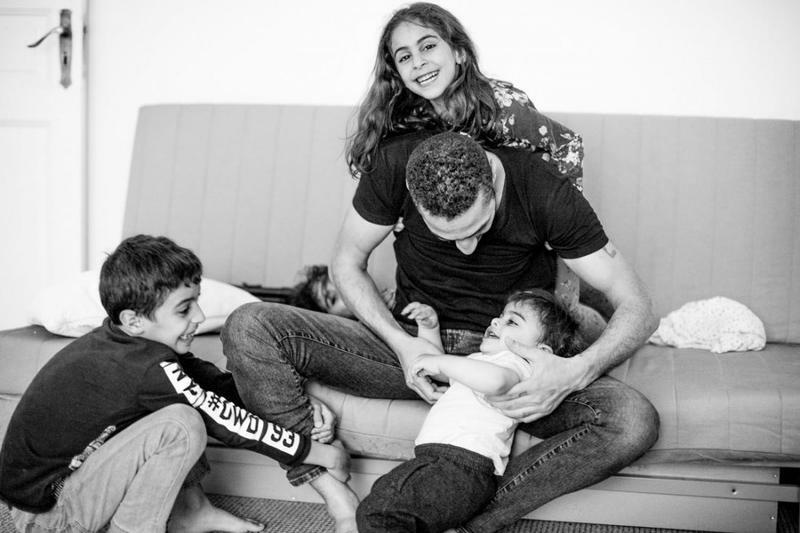 There is this basic common humanity; we all basically want to have happy, healthy families. 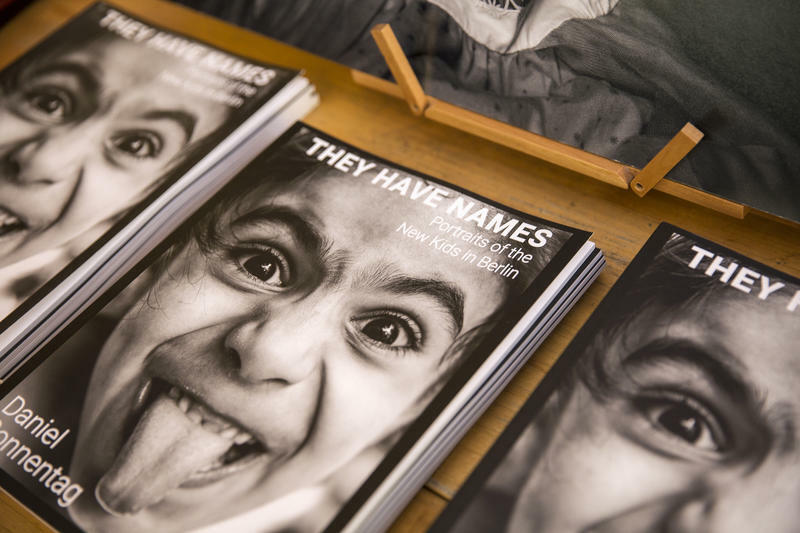 The full “They Have Names” photo exhibit will be on display through December in the State College Municipal Building and Webster’s Bookstore Cafe in downtown State College. For more information about the project and how you can help, visit www.theyhavenamesberlin.org. 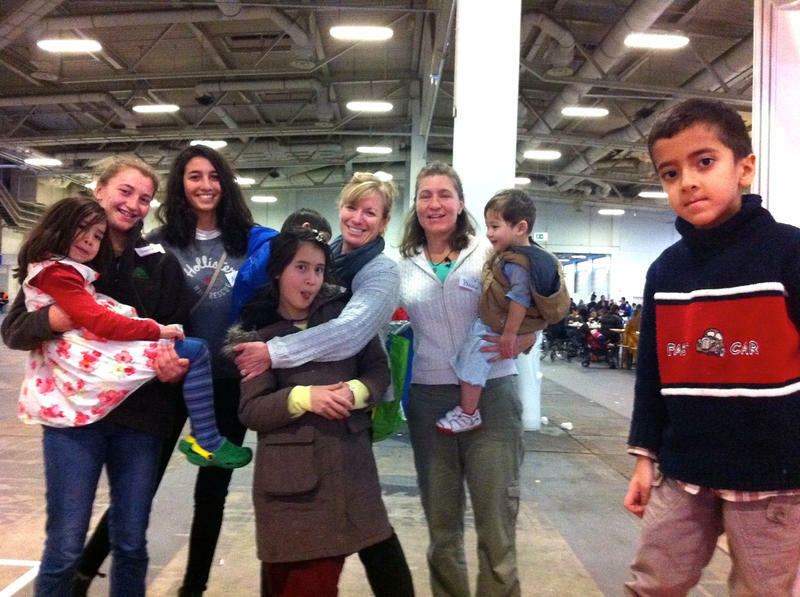 State College resident Penny Eifrig is currently volunteering at a refugee camp in Berlin. She says that she’s had many positive experiences working in the camps and getting to know the refugees. Eifrig says that the United States should be more welcoming to these people.